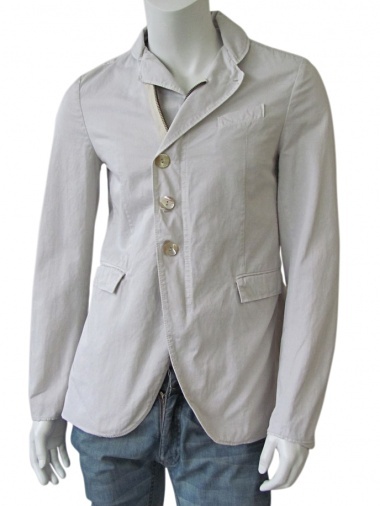 Jacket 100% Cotton by Vic-Torian - Clothing Men Jackets On Sale. The size of this item is write on the label. Dirty white jacket, double fastening with 3 lateral pearly buttons and concealed zipper, adjustable lapels, flap pockets, false breast pocket, deep darts. We ship with UPS. For further info click here. You can return any product within 10 days from the delivery date.